Bishop Mitchell's birthday greeting announcing Allin's canonical eligibility for ordination to the priesthood. Being admitted to an exclusive, all-male order was a privileged position not lost on either Bland Mitchell or Jack Allin. 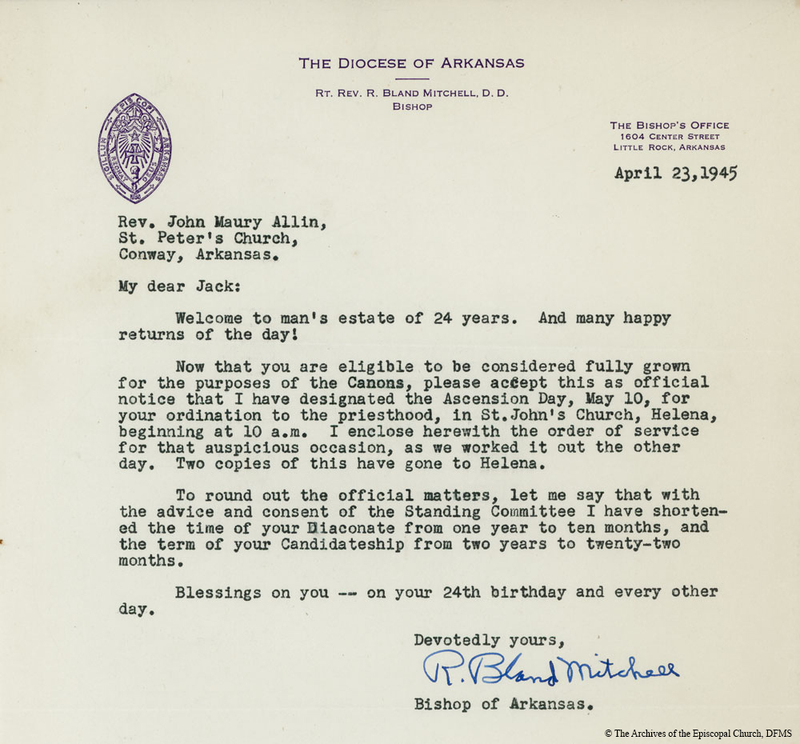 Mitchell, Bland, “Congratulatory Letter From Bland Mitchell,” Venture In Ministry: John Maury Allin, accessed April 19, 2019, https://www.episcopalarchives.org/jma-presiding-bishop/items/show/81.